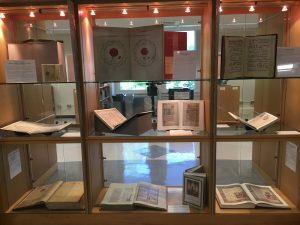 Please join us for a closing reception, for the exhibition of Medieval Music Facsimiles, which has been on display in the Music & Arts Library for Summer/Fall 2018. 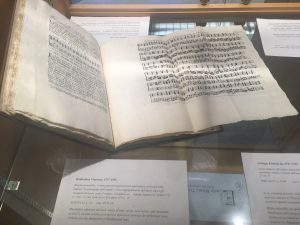 Ars Nota will sing from the original notation. Light refreshments will also be served. 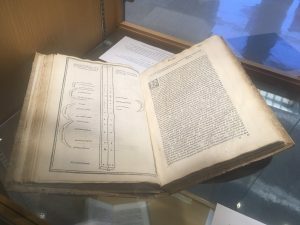 Hope to see you in the library! This entry was posted in Uncategorized on November 15, 2018 by Nick Patterson. The Music & Arts Library is offering another series of Music Technology Workshops for Fall 2018, led by Lee Gilboa, a graduate student in the MFA Sound Art program. The series will cover topics such as recording, mixing, audio editing, sampling, digital signal processing, and more, and will include sessions on music software such as Ableton Live and Max/MSP. Hope to see you in the library for one or more of these sessions! 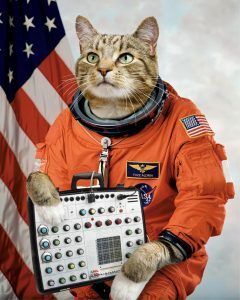 This entry was posted in Announcements, Digital Music Lab, Music Technology, Trainings on October 2, 2018 by Nick Patterson. 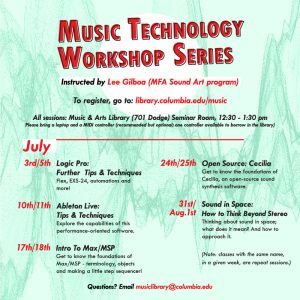 The Music & Arts Library is presenting a series of music technology workshops, led by MFA Sound Arts program graduate student Lee Gilboa, throughout June and July 2018. Topics include Logic Pro, Mixing, Audacity, Ableton Live, Max/MSP, and more. The workshops will be held on Tuesdays and Wednesdays, from 12:30-1:30. These workshops are open to all full-time Columbia students. This entry was posted in Announcements, Digital Music Lab, Music Technology, Tips & Tutorials, Trainings on May 30, 2018 by Nick Patterson. 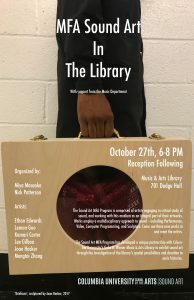 You are invited to attend the 3rd annual MFA Sound Arts event in the Music & Arts Library, on Friday, 10/27, from 6-8pm. Light refreshments will be served. 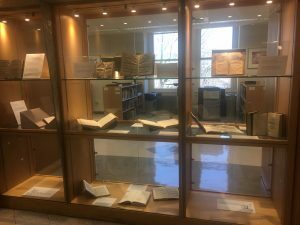 Six current students from the MFA Sound Arts program will present installations and performances of their work, exploring different possibilities of the Music & Arts Library space. As in previous years, we expect to see a wide variety of stimulating and entertaining work. 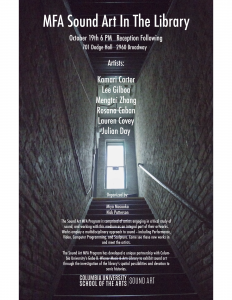 This event is free and open to Columbia students, faculty, and staff. Contact musiclibrary@columbia.edu with any questions. This entry was posted in Announcements, Events on October 18, 2017 by Nick Patterson. 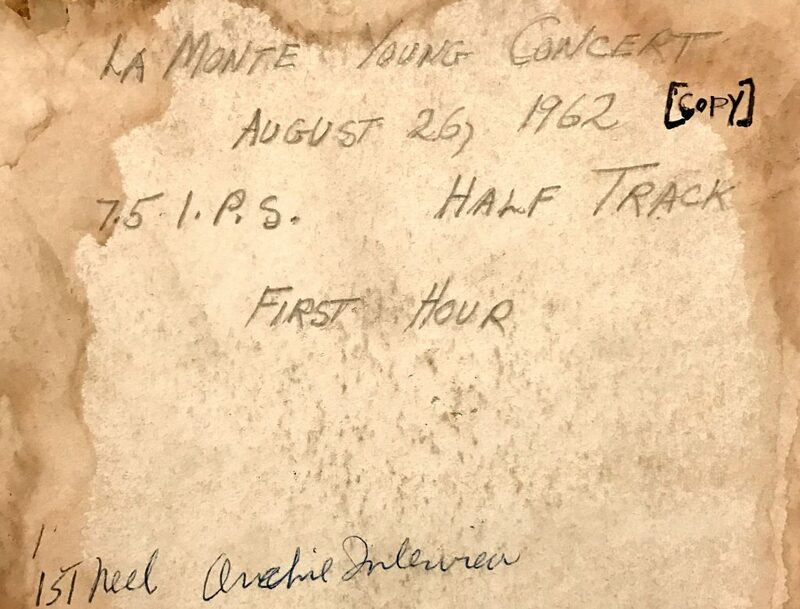 This entry was posted in Archives, Audio, New Acquisitions on May 16, 2017 by Nick Patterson.